If you see this error, your subscription is invalid or has expired, and thus you will not receive updates for the plugin. Automatic updates will not work for versions older than 5.2. 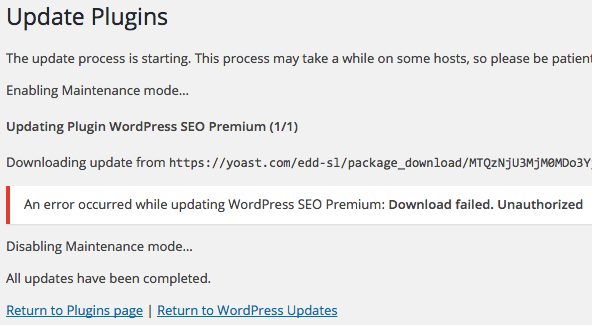 Please manually update your plugin to the newest version to activate automatic updates. If you do not have a subscription, please purchase a subscription for the plugin. If you have a subscription, you can manage your subscription and connected sites in the customer portal.